What would Ms. Marvel say to Donald Trump? Nerd out with me. 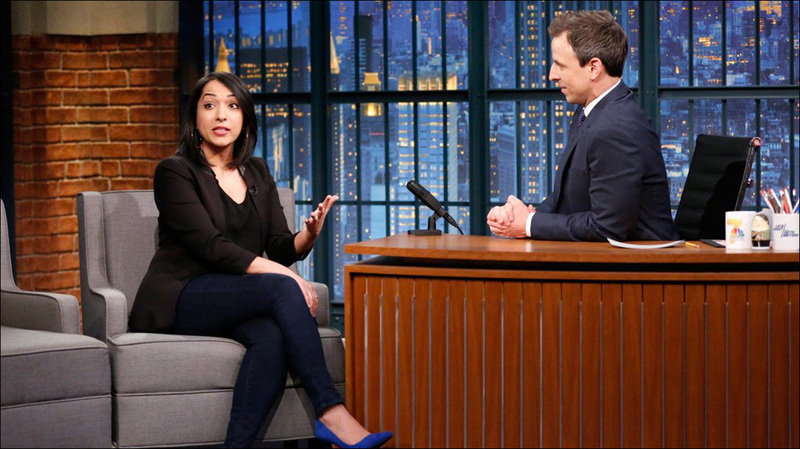 On Tuesday night, Marvel Comics editor Sana Amanat was a guest on Late Night with Seth Meyers, where she talked about creating a space for diverse and authentic characters that readers can relate to -- including the hugely popular current incarnation of Ms. Marvel, aka Pakistani American teen Kamala Khan, the first Muslim American character to headline her own own comic book. She is the coolest. 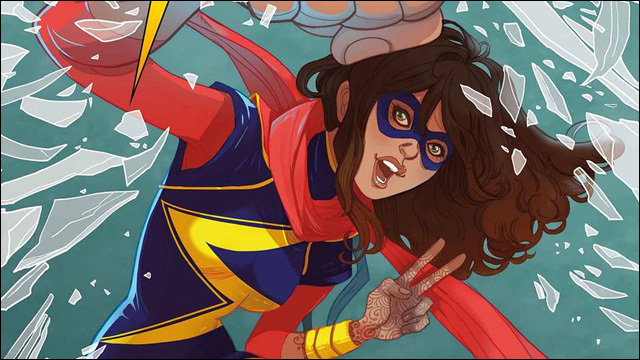 Meyers asked Ms. Amanat what Ms. Marvel might say to Donald Trump, who has made controversial statements about Muslims and immigrants, if the teen superhero and the Republican presidential candidate ever met face to face. "The first thing that she would say is, you're doing such irreparable damage to young Americans, and minorities everywhere. Words and images are very powerful, and these young kids are actually having a perception of themselves that are not true, and that's so dangerous. And then she'd probably remind him that his grandfather was an immigrant, I believe, and if he had the same type of vitriolic sentiment thrown at him, Trump would not have the opportunities that he would have or the successes that he would have. And then she would probably fly off with the Avengers and save the world from actual bad guys, and prove him wrong about who Muslims really are." The interview continues into some deep geek speak, talking about the final chapter of Marvel's Secret Wars and the launch of All-New, All-Different Marvel Universe. They also clown some of the ridiculous conspiracy theorists who are convinced that the creation of Kamala Khan was some kind of "nefarious" Muslim plot. Watch the full Late Night episode here (Sana Amanat's segment starts at the 33:12 mark).